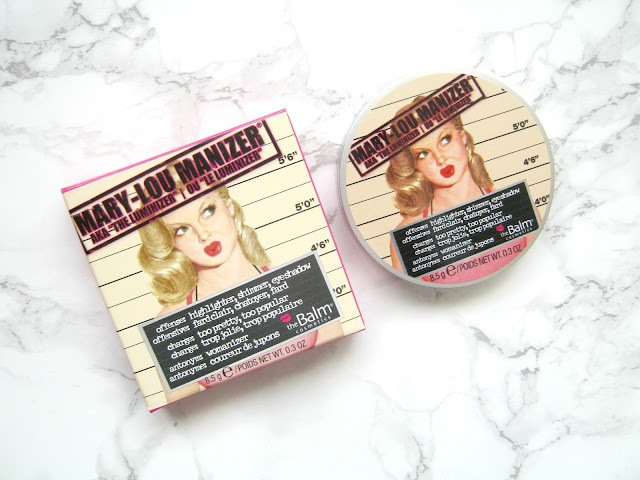 For so long now I've been tempted by the dazzling and popular Mary-Lou Manizer, a multi use highlighting product, but the price has always made me hesitant to purchase. I don't often splash out on expensive products but every now and then something comes along that really catches my eye and I just can't resist treating myself. I've not always been into highlighting, the recent hype surrounding it thanks to people like The Kardashians has definitely influenced me somewhat and I seem to have a healthy collection of brightening products stashed away now. I've seen review after review of this product and you probably have too but after trying it out for over a month I've definitely come to see that this is too good a product not to talk about. Like I said before my experience and knowledge when it comes to highlighting is still pretty basic but this is such an easy product to use that I've been getting better and better at understanding the best places to apply it. 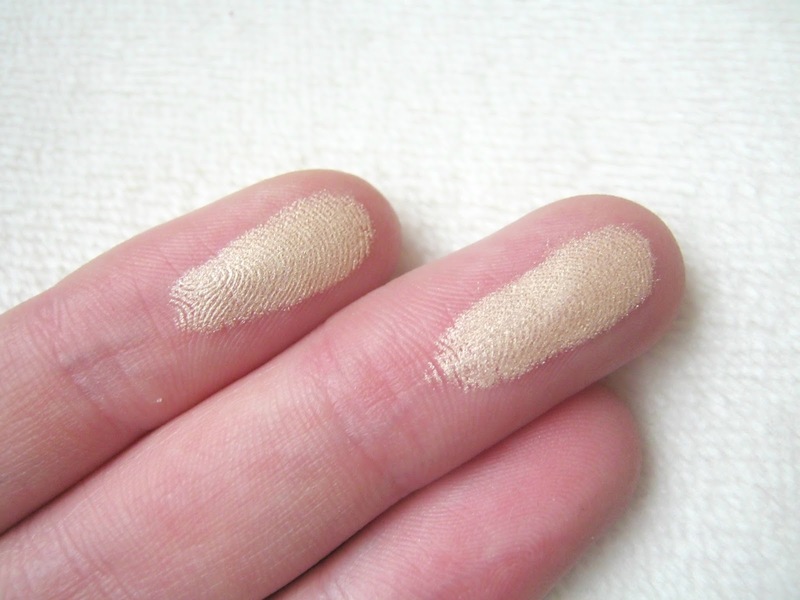 It's described as a honey-hued lumunizer that can be used as a highlighter and an eyeshadow, It aims to add a subtle glow to your skin to leave it looking softer and younger. Not only is the packaging eye catching but the product inside is even more so, it really is a stunning product and it looks just as good when applied as well. As you can see it is incredibly pigmented, easily the most bold highlighter in my collection and at first this did make me worry about application a little. However, this really is an easy product to apply and even if you are a beginner like me I can assure you that you'll have no problems using it to create a glowing look. Ever since I've been using this more I've had people tell me how nice my skin looks and it is all done to this little gem. This doesn't have any chunky glitter in like some of the cheaper highlighters I have, it creates a shimmer and it can be as subtle or as bold as you want. Every time I've used it I've found that it has easily lasted all day as well! I'd recommend using a small brush with this so you have more control over the product, I tend to go over gently with a larger brush after to blend it out more. I've been using it as a standard highlighter first and foremost but it also works really well as an eyeshadow and as a brow/inner-corner highlight. After trying this out I can definitely say that it is well worth the price tag! There are various places you can buy it, I bought mine from FeelUnique whilst there was an offer on, unfortunately it's back at it's full price (£17.50) now but it's still worth getting if you love your highlighter. Do you have a favourite highlighter? Let me know in the comments! This seems to be the no. 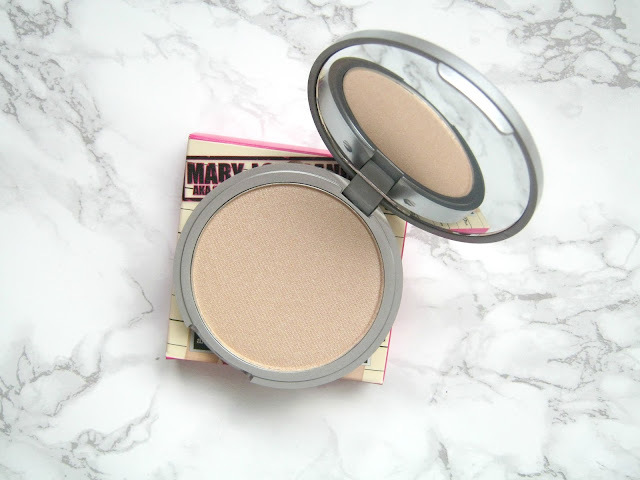 1 favourite highlighter by many but I have yet to own it! 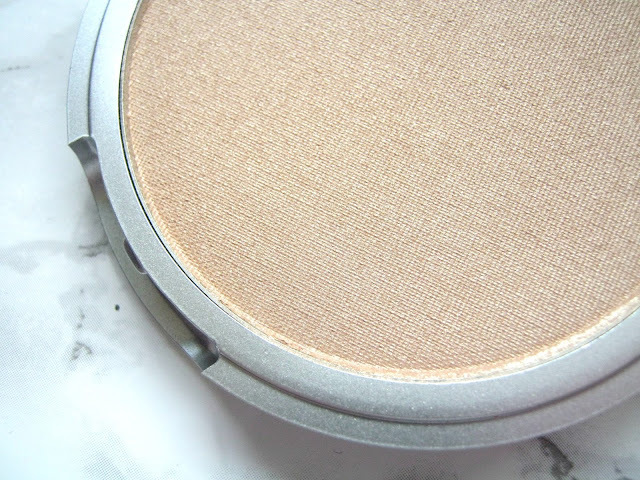 My favourite right now is Becca Champagne Gold but it's pricey so my favourite drugstore option would be Hard Candy baked bronzer in shade Tiki. Isn't it the most gorgeous highlight? I don't use it every day as it isn't the most subtle (I'm all about MAC Soft & Gentle if I want subtlety), but it's perfect if you want a real glow. It's so beautiful and I can see why everyone loves it. MUA actually do quite a good dupe, it's their iridescent gold highlighter!